It was a sequence of events that perfectly captured just how valuable the 29-year-old centreman is to the Pittsburgh Penguins. Down two men in the first period of a scoreless game against Nashville, Bonino put his body in front of a laser shot off the stick of defenceman P.K. Subban, a blast that dropped the forward to the ice. Somehow, a hobbled Bonino willed himself to his feet and then got into position to stand in front of another possible shot from Subban, who opted to pass the the puck to teammate Roman Josi. When Subban got the puck back on his stick, there was Bonino again, ready to take another one for the team. Thankfully, he didn’t have to. A Nashville penalty put an end to the action. Pittsburgh would go on to a 4-1 win and a 2-0 series lead. Bonino’s contributions to the victory certainly didn’t go unnoticed. 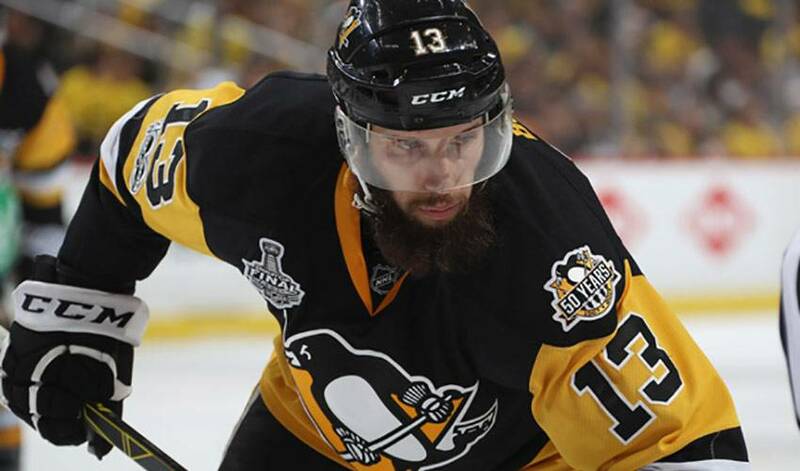 But, Bonino is more than just a guy who sports multi-coloured bruises after each game. In Game 1 of the Cup Final, the Connecticut native tallied twice in a 5-3 Pittsburgh triumph, including an empty net goal to seal the win. He also earned first star honours. Outshot 26-12, the Penguins somehow found a way to take the opener. “Times like that you got to just keep playing hard, just stay focused,” said Bonino. On Wednesday night, he did the same, albeit in a much different – and much more painful – manner. Bonino, after being helped to the bench by his teammates in the first period, returned to the game and finished the evening 11-7 in the faceoff circle. His line for the night: 16:06 of ice time, 25 shifts, two shots on goal, two takeaways and one blocked shot. For Bonino, it was simply doing what he does every game, something he noted in an interview with NHLPA.com a few years ago.